Avengers: Infinity War (film, 2018). A 2018 American superhero film with "PG-13" rating by Walt Disney Studios Motion Pictures/Warner Bros./SamFilm/United International Pictures. Directed by Anthony Russo, Joe Russo. Official Trailer. Avengers: Infinity War is a 2018 American superhero film directed by Anthony Russo and Joe Russo. 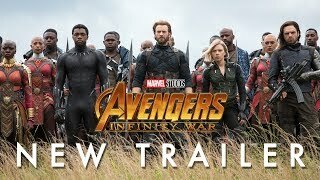 Marvel Studios' Avengers: Infinity War - Official Trailer. Having acquired the Power Stone, one of the six Infinity Stones, from the planet Xandar, Thanos and his lieutenants - Ebony Maw, Cull Obsidian, Proxima Midnight, and Corvus Glaive - intercept a spaceship carrying the last survivors of Asgard. As they extract the Space Stone from the Tesseract, Thanos subdues Thor, overpowers Hulk, and kills Loki. Heimdall sends the Hulk to Earth using the Bifröst before being killed. Thanos departs with his lieutenants and obliterates the ship. Hulk crash-lands at the Sanctum Sanctorum in New York City, reverting to Bruce Banner. He warns Stephen Strange and Wong about Thanos' plan to kill half of all life in the universe; in response, Strange recruits Tony Stark. Maw and Obsidian arrive to retrieve the Time Stone from Strange, drawing the attention of Peter Parker. Maw captures Strange, but fails to take the Time Stone due to an enchantment. Stark and Parker pursue Maw's spaceship, Banner contacts Steve Rogers, and Wong stays behind to guard the Sanctum. In Edinburgh, Midnight and Glaive ambush Wanda Maximoff and Vision in order to retrieve the Mind Stone in Vision's forehead. Rogers, Natasha Romanoff, and Sam Wilson rescue them and take shelter with James Rhodes and Banner at the Avengers Facility. Vision offers to sacrifice himself by having Maximoff destroy the Mind Stone to keep Thanos from retrieving it, but Maximoff refuses. Rogers suggests they travel to Wakanda, which he believes has the resources to remove the stone without destroying Vision. 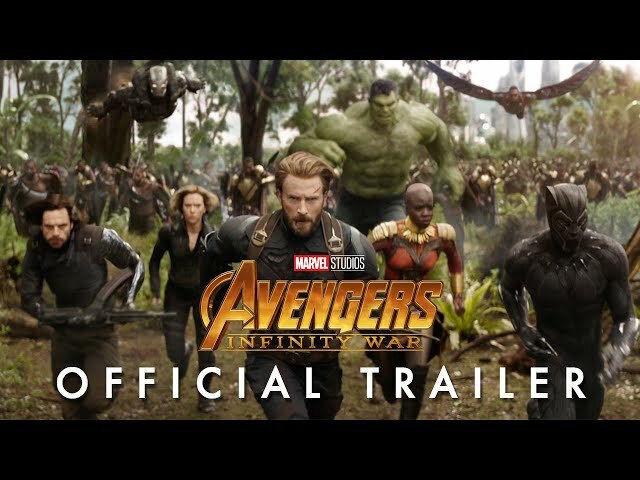 Bruce Banner / Hulk: Banner spends the film trying to reintegrate with the Avengers, and also tries to "impress upon everybody how dangerous Thanos is"
Principal photography began on January 23, 2017, under the working title Mary Lou, at Pinewood Atlanta Studios in Fayette County, Georgia, with Trent Opaloch as director of photography. 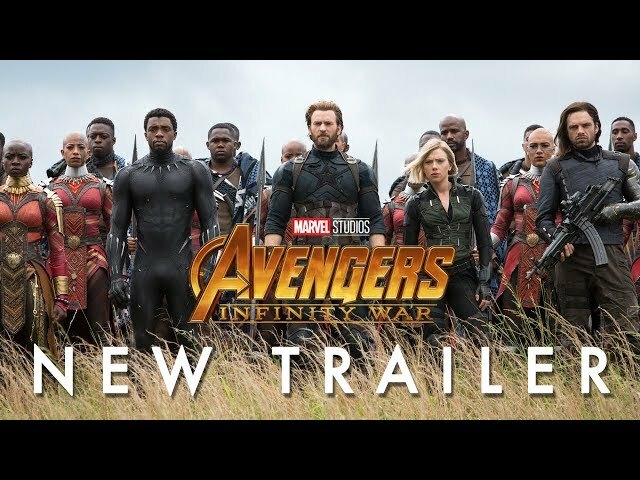 The film Avengers: Infinity War was scheduled to be released by Walt Disney Studios Motion Pictures, Warner Bros., SamFilm and United International Pictures on April 23, 2018 (Dolby Theatre), on April 25, 2018 (France, Denmark), on April 26, 2018 (Germany), on April 27, 2018 (United States, Canada, Spain, India, Japan, Mexico, Pakistan, Turkey, South Africa) and on May 11, 2018 (People's Republic of China). The duration of the film is 149 minutes. With a budget of $316 - 400 million, the film grossed over $2.048 billion. Avengers: Infinity War got high rating from critics. The audience also likes the film. Audiences polled by CinemaScore gave the film an average grade of "A" on a scale ranging from A+ to F.